Income is often seen as a key factor in determining what category of social-class a person or family falls into; the lower the income, the lower a person’s social-class. Sociologists have tried to account for the social-class differences in educational achievement because in the UK all the data suggests the higher your social-class the greater your achievement at school is likely to be. Now might be a good time to look at another type of school children in Engalnd and Wales can attend, these are fee-paying or independent schools (sometimes known as private schools). The parents of the children who attend these schools pay a fee to attend these schools (the state sector is funded by income tax payments, so your parents don’t directly pay to send you to school. Children who attend independent schools tend to get better GCSE and A Level results than state school children. This BBC Newsnight video helps explain why that is. Play video. You can read more about Wellington Public School here and here along with the Headteacher of Wellington Public School being critical of the gulf between the state an private sector. 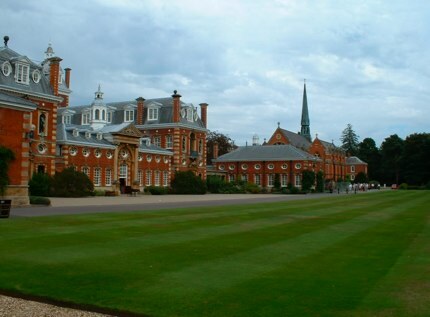 Now watch this clip about life at Eton College which is world famous independent school where there A Level results are exceptional or this link Too Posh for Poor School. The next sections will focus on the three key areas which help explain the relationship between social-class and attainment at school (state schools) caused either by factors inside school or factors outside school (or a combination of both).